Shouldn’t you need to practice and get really good before you start fixing all your timing and pitch mistakes? While I agree with the sentiment (always strive to do your best), not every track justifies the amount of time and practice required to nail a perfect take. You’ll never hear me say that you shouldn’t practice and improve. And if a machine can help you fulfill your vision, then dream big and take all the help you can get. You can set one track in your project as the groove track and select other tracks to follow the timing of the groove track. 1. Control-click anywhere on the track list and choose Track Header Components -> Show Groove Track. 2. Click the track number of the track that defines the groove. A second column of check boxes appears in the track header. 3. Select the check box to follow the groove track. An advanced and precise way to navigate your project is to use the Go To Position dialog. Zoom all the way out so you can see the entire project. Press Z with no regions selected. Zoom in on a section or group of instruments. Option-Command-drag over the area (fastest) or use the zoom tool (slowest). Zoom in on a single track or small group of tracks. Again, Option-Command-drag over the area. Zoom out (Z with no regions selected), zoom in (Option-Command-drag), zoom in more (Option-Command-drag), zoom out a bit (Option-Command-click), repeat. To zoom in on all your tracks vertically, press Command-down arrow; to zoom out, press Command-up arrow. To zoom in on all your tracks horizontally, press Command-right arrow; to zoom out, press Command-left arrow. One more zoom to consider is the Waveform Vertical Zoom. Press Command-minus (–) or Command-plus (+) to zoom only your audio waveforms. This zoom feature makes your audio waveforms larger in the regions without making the regions themselves bigger. 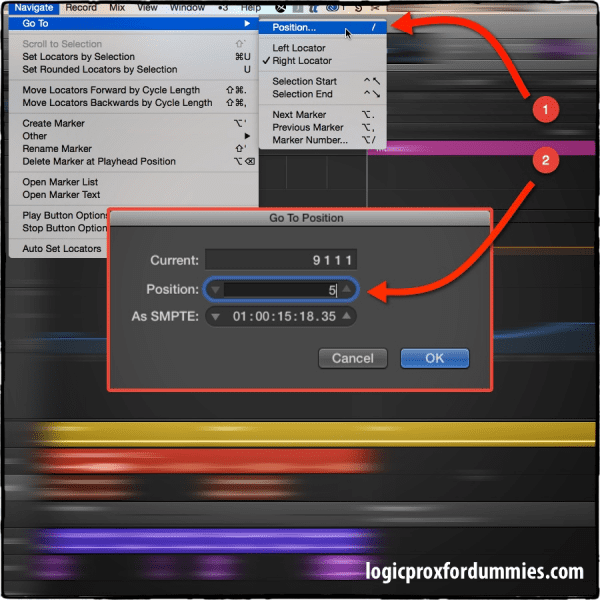 Here are more tips on zooming in Logic Pro X. 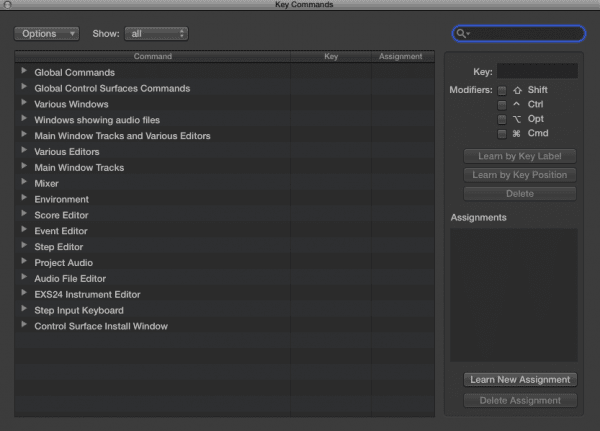 You can use more than 1,200 key commands in Logic Pro X. That’s more than you’ll ever need. Many functions are available only by key command, so one key command you should memorize is Option-K, which opens the key commands window. I never have to worry about overwriting an important key command or finding an empty location because it’s always safe to overwrite my ad hoc key command. 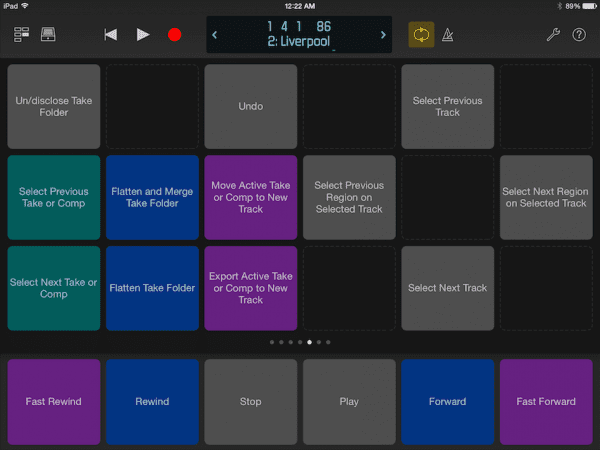 Logic Remote is a free iPad app that can remotely control Logic Pro X, GarageBand, and MainStage. When you find yourself choosing the same menus and functions over and over again, you can create dedicated key commands inside the app. You can add key commands to set your locators, nudge regions, and go to markers so you can edit your arrangement and your tracks quickly. 1. Tap the view menu and choose the Key Commands view. 2. Tap an empty key command space to open the search dialog. 3. Browse or search for the key command. 4. Tap the key command to add it to the space. 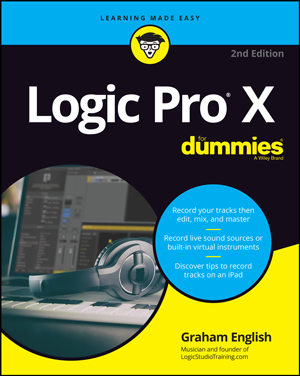 Here are 9 More Ways to Use an iPad with Logic Pro X. Improving your workflow and editing skills will have a remarkable effect on your creative output. But you don’t just want to get faster, you want to make sure the time you invest matters. 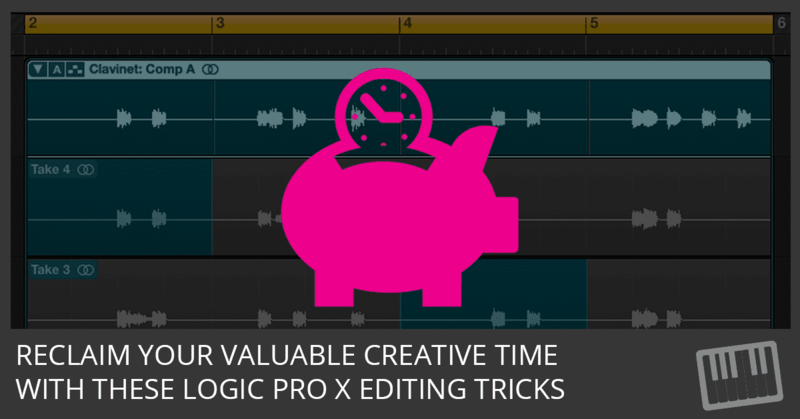 If you feel like you’re spending too much time editing, you either need to improve your Logic Pro chops or have a specific and measurable plan to complete your editing. 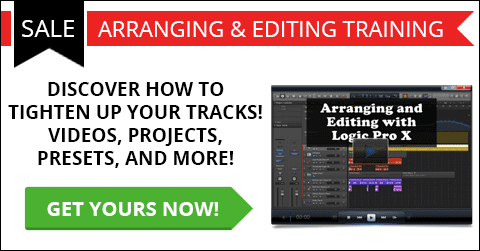 But how do you figure out when you’re done arranging and editing? 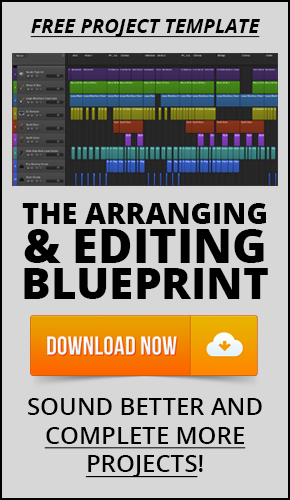 The answer comes next in…The Logic Pro X Arranging and Editing Blueprint! Yes, I Want This Arranging and Editing Blueprint!